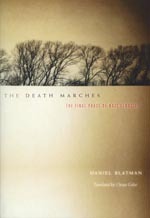 Co-winner of the Yad Vashem international Book Prize for Holocaust Research. Finalist, National Jewish Book award, Jewish Book Council. In the last months of the Third Reich, about a quarter of a million concentration camp inmates perished on death marches and in countless incidents of mass slaughter. In its exploration of a topic nearly neglected in the current history of the Shoah, this book offers unsual insight into the workings, and the unraveling, of the Nazi regime.